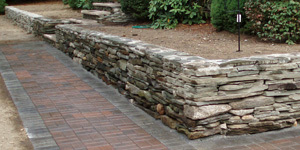 D & L Landscaping has years of hardscape design experience. We install brick walkways, paver patios, driveways, decorative walls, retaining walls and outdoor fire pits. We will design, create and install a custom hardscape project that will be a perfect match for your outdoor living environment. Take a look at our portfolio to get some hardscape design ideas for your yard. At D & L Landscaping we take great pride and enjoyment in the design of a planting project, including new beds, trees, shrubs, perennials and annuals. With our high quality standards, years of experience, we can design and create a beautiful perennial or seasonal annual bed. Let us work with you on your next landscape planting project. Take a look at our portfolio of landscape plantings for some great landscaping ideas. D & L Landscaping provides superior lawn care and landscaping maintenance services for all types of residential and commercial properties. 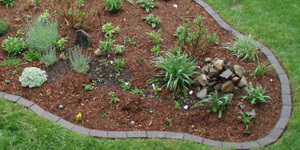 As a full service landscaping company we provide personalized maintenance tailored to each client. Or landscaping maintenance professionals can keep you property in optimum conditions for you 365 days a year. 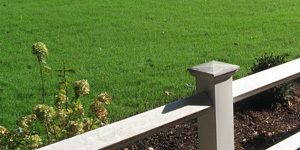 D & L has been providing landscape design and lawn care service since 1986.